Home of the Bash Brothers, Niles is a village in Maine and Niles townships, Cook County. Niles was first settled in 1827. 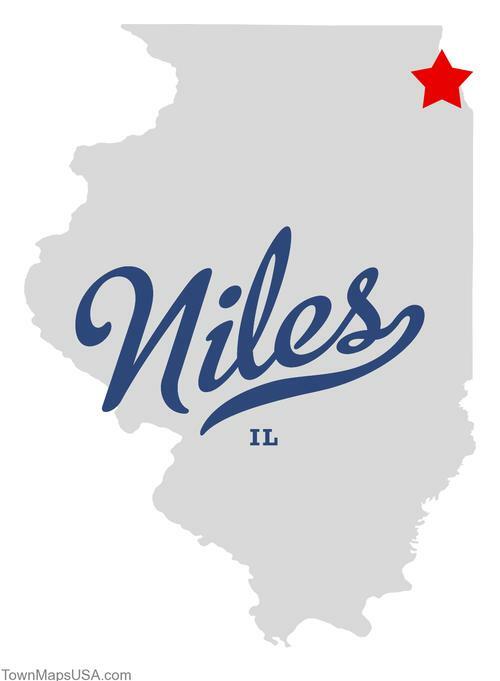 The village of Niles was incorporated on August 24, 1899. The village had a population of 500 people at that time. Along with neighboring Skokie and several other suburbs, Niles is partly in Niles Township, from whence it draws its name. It should not be confused with “Niles Center”, the original name of Skokie. A notable landmark and point of pride among Niles’ residents is the Leaning Tower of Niles, a smaller-scale replica of the Leaning Tower of Pisa. In 2011 Niles was named Best Place in U.S. to Raise Kids by Bloomberg’s BusinessWeek and “America’s Best, Affordable Place to Raise Kids” by Businessweek.com. Businessweek studied the lifestyle parameters of 5,418 communities across the country, focusing on good schools, low taxes, safe neighborhoods and affordability of housing.